With spring finally here, we're all looking for ways to start our days on a healthier note. However, unless you're one of those elusive "morning people," you probably don't want to spend a ton of time preparing a healthy breakfast before jetting off to work. Have no fear, serial breakfast skippers and drive-thru visitors, we have some solutions for you. 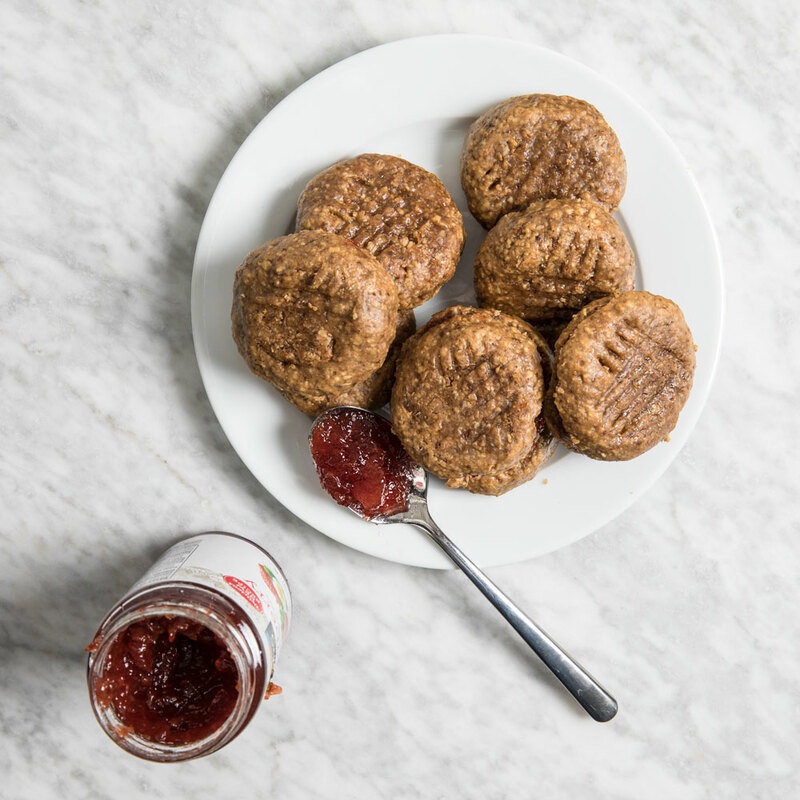 Chef and nutrition consultant Laura Lea shared some of her favorite tips for quick and healthy breakfasts with us when she dropped by our test kitchen to make her Peanut Butter Breakfast Cookies. While a warm frittata straight out of the oven each morning would be great, Lea suggests making these mini frittatas ahead of time that you can them enjoy throughout the week. "I love frittatas that you can put into mini muffin tins," she says. "They’re so versatile and you can put in whatever seasonal produce there is. Keep a ratio of about six eggs to 1/2 or 3/4 cup of milk and then add salt and pepper to taste." "I always remind people that you can also just eat leftovers for breakfast," she explains. "I find that in the spring, people are making lighter lunches and dinners and you can absolutely eat whatever you have available the next morning. If you want to make it more of a breakfast dish, just throw an egg on it." Lea loves this hybrid creation, which she makes by combining overnight oats and a smoothie. "Overnight oats are always great, but I also love to make smoothies with oats in them, which I call doughy smoothies," she says. "If you just use fruit, it can be a bit funky in the morning, but if you blend in oats over night, it becomes a good hybrid of the two." 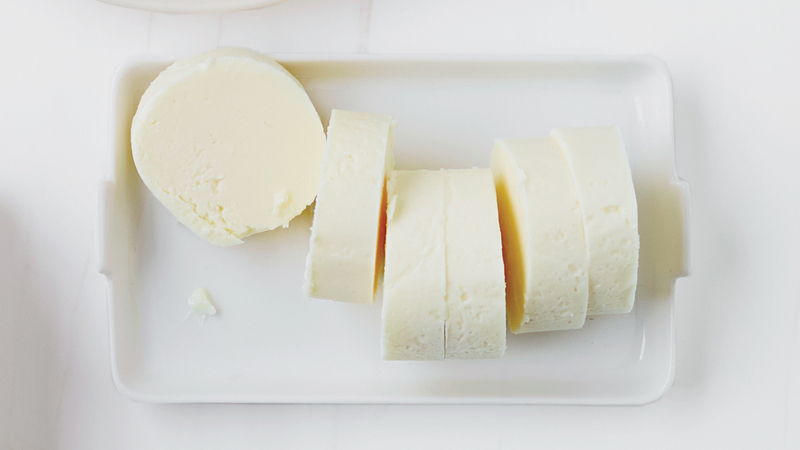 "I’m a huge fan of full-fat coconut milk because that’s what keeps you satisfied," she explains. "The saturated fat found in coconut milk is actually really good for you. It doesn’t get stored in your liver the way that other saturated fats do and it gets instantly used as energy, which is just what you need in the morning." While fresh fruit is great for a weekend brunch, Lea prefers frozen fruit for make ahead, weekday breakfasts. But, she says, "If you’re using frozen fruit, you want to use a little less water in the recipe since the frozen fruit will release water as it thaws."